Notion has come a long way over the last few years, and while we’re moving forward on a lot of new product and feature ideas, today we’re taking a step back to shed light on the earlier days. We sat down with our CEO and co-founder Brett Jurgens to find out how Notion started and get the inside scoop on all things IoT and home security from his perspective. How did you end up working with IoT and sensors? Ryan and I set off 5 years ago to make the world’s best smoke alarm. After a couple of months of research, we decided that recreating the wheel wasn’t necessary. Why not retrofit? Put a microphone next to the alarm. And as engineers do, Ryan kept thinking and tinkering. He suggested we add an accelerometer to detect a door or window opening. 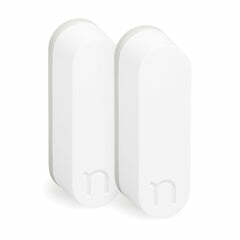 A great idea, and we came up with Notion. A small, extremely smart, multi-function sensor that we believe solves the problems presented by traditional security and current DIY solutions. How long have you known Ryan for? Ryan and I grew up together just north of Boulder, CO in Longmont. And when I say grew up together, I mean we started hanging out 25 years ago at the age of 4. I doubt our parents knew we would someday start a business together, but I vaguely remember playing with financial models and PCB boards, so they must have known something we didn’t! How early on did you and Ryan start talking about working together? Once we got to high school, we both had interest in business, specifically entrepreneurship. We didn’t really know what that meant, other than knowing what it meant for our families. Ryan’s father had started a successful real estate marketing company. My mother was a psychologist and my father was an orthodontist, both with private practices. Pretty early on we started planting seeds about starting a company together and we would send each other news on cool products or industries. Where did the idea for the sensor come from? What were you doing before you started Notion? I received a finance degree from CU-Boulder and after graduating I went off to do private placements in Minneapolis, MN at the investment bank Piper Jaffray. I later became the first employee at a Denver-based startup (that’s not much of a startup anymore) called UrgentRx. After all of this Ryan and I’s conversations about a business continued to intensify. What was the transition of moving from your day job to Notion full time like? Well our first employee was Sean Fendt who worked full time on hardware design while Ryan and I were able to keep our day jobs. It wasn’t until Spring of 2014 that Ryan moved out to Denver from California and we both went all-in working on the company. What is your vision for home security and IoT in the coming years? IoT is expensive, and ultimately not every “dumb” thing needs to be smart. Today, people spend $600 to $700 on two to three devices that they think they’ll use the most. That will have to change over time to some degree if mass adoption is to occur. With increased competition and the commoditization of many hardware devices driving prices down, companies will have to innovate hardware and also be innovative with partnerships, services and business models, based on data and analytics. Looking even further ahead, data is the biggest game changer. Working with insurance companies, it takes a lot of time and a lot of data points to change the way an entire industry operates. 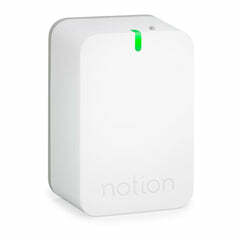 On the note of home security, how do you see that evolving with devices like Notion? Today, we’re transitioning from reactive home security to proactive home awareness. The defining moment for this transition is probably the mobile device and, more specifically, the mass adoption of smartphones. As soon as people had computers in their pockets, their expectation of information on-demand sky rocketed. As the “things” in our lives become more connected, consumers want to have real-time engagement with those things, and that includes the activities in their homes. In the IoT era, connected devices are replacing traditional hard-wired security systems for a fraction of the cost and providing homeowners with unprecedented access to insights about their homes.